o2 Business Broadband - Fibre Wires Only? Just wondering has anyone had any experience with the o2 Fibre Business Broadband Wires only product? A friend of mine is looking to get it installed, just wondering if they have an all in one device like Sky and EE seem to have? According the the o2 salesperson this limit is a fair usage limit, has anyone any experience as to what happens when you exceed this limit? 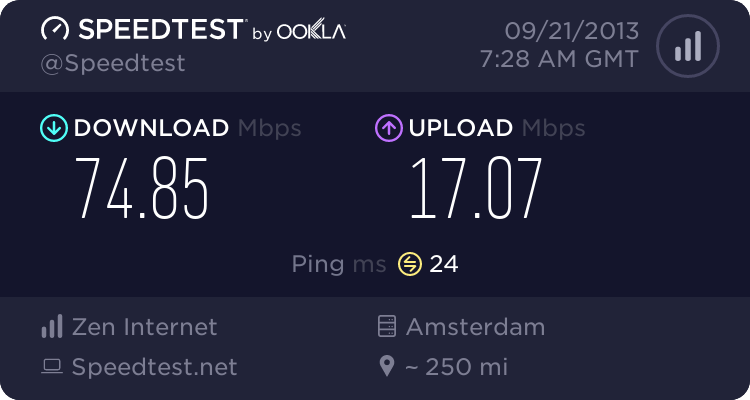 Re: o2 Business Broadband - Fibre Wires Only? Are you talking about O2 Ireland? Apologies, I should have been specific. o2 UK "Fibre Business Broadband". On the "irish" note, i see o2 Ireland are starting to offer fibre broadband, however that wasn't what i'm curious about. It's pretty hard to comment, considering that the only information I can find is a PDF data sheet. I suspect the 'wires only' description isn't as is normally understood in these forums - where the end user is responsible for installing filters and DSL equipment at their premises, especially as the data sheet is dated July 2013. It seems to indicate that a VDSL2 modem is provided on the usual engineer-install basis, with it being up to the customer to supply a suitable router. In other words, the 'wires only' description indicates it's an unmanaged service rather than an O2 managed router being supplied. I presume that O2 are reselling someone else's service, as they have no FTTC backhaul network of their own. That makes sense, I did wonder about the wires only bit. I wonder who they use for their fibre backhaul? Do they still run an adsl network of their own for the o2 business broadband customers or might that be a third party also? Still waiting to see what ADSL2+ Modem/Router they supply. Whatever way they are doing it, my friend is getting a stupidly good deal through them for their "all-in" mobile/landline and broadband package. I've yet to clarify exactly what the charges are but brief discussions suggest this could be £44.40 (inc vat) per month All-In! i.e. unlimited calls/texts, 2gb data on his o2 supplied Samsung SGS4, including landline rental and either broadband or fibre. Apart from the usage limits this sounds too good to be true, I think it even beats their website. We'll have to see just how good this turns out to be, because for the lowish use broadband user this deal could be far too good to turn down? At a guess, either BT Wholesale or Sky. See this page, fifth FAQ down. That will be the same as O2 Business Wholesale that O2 resellers are using. The existing O2 LLU network for now. Just a small update, This o2 Business Fibre Broadband appears to be available to o2 Enterprise customers only.